Sunday is traditionally a day of relaxing, of putting your feet up and forgetting your troubles, possibly with a Sunday dinner (with all the trimmings of course) and a trip down your local for a pint (or two or three). It’s also a day of worship, and for those of us who kneel at the altar of the rock god, Avalon’s open-air cathedral beer garden is once again open for everyone to rejoice. 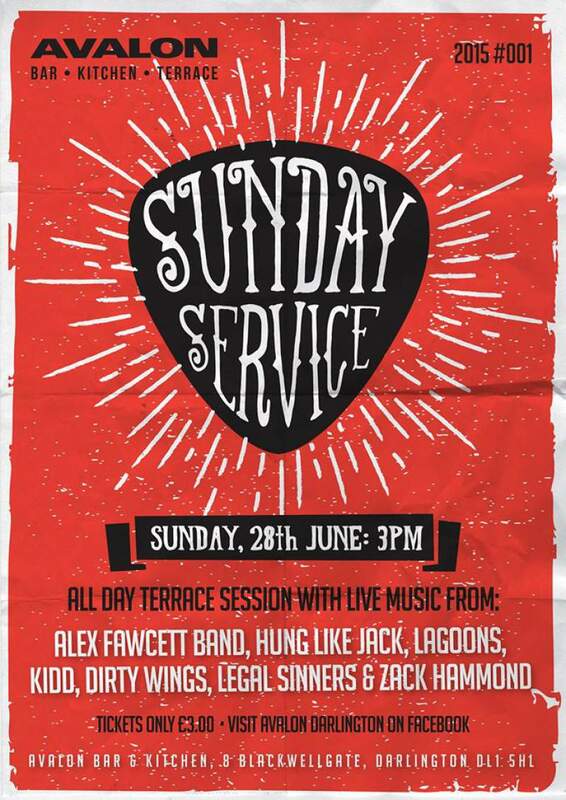 The first of the series of gigs in the garden (of Eden) features the wonders of Darlington-born blues rock guitarist Alex Fawcett and his band. Inspired by Joe Bonamassa and Deep Purple among others, Fawcett and his group channel their lifelong love of music into high-octane shows that are sure to set the intimate venue alight. Joining them are the anti-heroes of rock Hung Like Jack, lovers of psychedelia Lagoons, a double threat of raucous indie in the shape of KIDD and Dirty Wings, rock rebels The Legal Sinners and the acoustic wonders of Zack Hammond. It’s an impressively big line up for the very fair price of £3. You’d be a fool not to praise the Gd of Rock. Sunday Service 1 takes place at Avalon, Darlington on Sunday 28th June.